Mary Niederberger contributed to a package of recent stories for PublicSource on achievement gaps in Pittsburgh-area public and charter schools, blending solutions from districts like Gateway and others with state data. Gateway superintendent William Short and University of Pittsburgh researcher Dana Thompson Dorsey, whose staff helps lead training on implicit bias and cultural relevance, join Niederberger on 90.5 WESA’s The Confluence to discuss what they're finding and possible solutions. 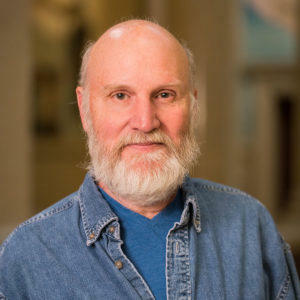 John Wible is the curator of mammals at the Carnegie Museum of Natural History in Oakland. Millions of Americans participate in NCAA March Madness brackets every spring, but this year, the Carnegie Museum of Natural History entered the tournament in a decidedly different way. Mammal curator John Wible explains the nerdy phenomena of March Mammal Madness, which pits big cats and other critters against tag teams in a tournament-style contest held annually in tandem with its collegiate basketball companion. Wible, who says he won this year's office pool, talks about this year’s winner and new research about mammals before and after the extinction of dinosaurs. And scientists studying insects in places like Germany and Puerto Rico have reported massive losses, with some as high as three-fourths of the insect population disappearing over the last 25 years. The Allegheny Front’s Kara Holsopple spoke with John Wenzel, a career entomologist and director of Powdermill Nature Reserve to find out what’s known and unknown about insect declines across the globe.